Kiesel, originally known as Carvin Guitars, was founded in 1946 by Lowell Kiesel as the L. C. Kiesel Company in Los Angeles. Kiesel relocated briefly to his home state of Nebraska but returned to California in 1949 and changed the name of the company to Carvin after his two eldest sons, Carson and Gavin. The company began by making pickups and other accessories then branched out to amplifiers, guitars, basses and other gear. Early Carvin instruments were made by Lowell Kiesel and Carvin also sold rebadged guitars made by Harmony and Kay. In the 1960s Carvin built most guitars from mainly Hofner components before returning to manufacturing their own instruments in the 1970s. In the earliest years of the company Carvin was also a reseller of Fender and Martin guitars, DeArmond accessories, Sonola accordions and Rheem organs. Throughout the 1950s and 1960s Carvin expanded its product lines selling popular lap and pedal steel guitars, electric basses and guitars, mandolins and doubleneck instruments. The company has relocated several times – originally moving from Baldwin Park (outside Los Angeles) to Covina, California in 1956 and then to Escondido, California in 1968. The company then relocated to a larger facility in Escondido in 1975 where they would remain until the move to the current factory location in San Diego in 1995. 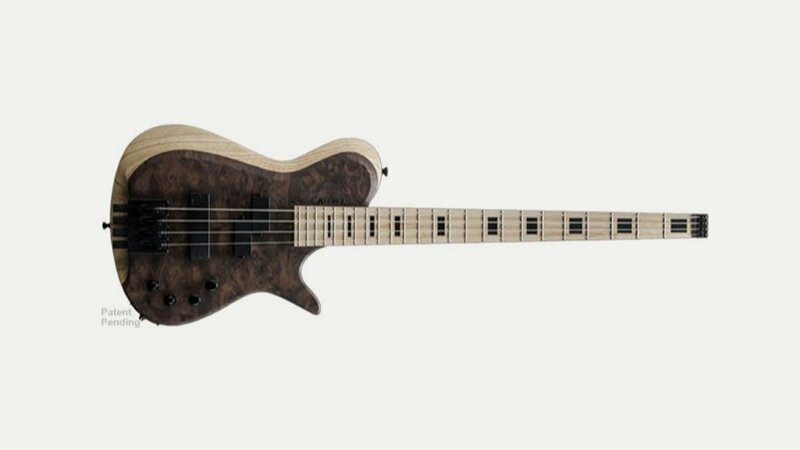 In the late 1970s Carvin began to design and build their own guitars and basses and began allowing customers to choose from various options making each guitar or bass a unique, custom built instrument. The various models and options expanded throughout the 1980s and Carvin gained exposure on MTV and other outlets by being associated with such artists as Jefferson Starship, The Bangles, Missing Persons and Steve Vai. In 1988 Carvin guitars and basses switched from being set-neck models to (mostly) neck-through design. Additionally, many new options, finishes and woods were added, as were signature instruments and amplifiers bearing the names of artists such as Craig Chaquico, Steve Vai, Allan Holdsworth, Bunny Brunel, Timothy B. Schmit and Frank Gambale. Since 2015 the company has reverted to the Kiesel Guitar name and operates an 80,000 square foot facility in San Diego and employs over 100 people. They have stores in San Diego, Santa Ana, Hollywood and Sacramento where customers can choose from a wide selection of pro audio equipment, amplifiers, acoustic and electric guitars & basses and other accessories. Over one million catalogues are sent out every year to customers all over the globe, as well as email newsletters and advertisements in all the major music publications. Thier engineers are constantly improving the product lines and Kiesel’s craftsmen build over 1000 custom guitars and basses each year including seven-string, semi-hollow, twelve-string, carved-top and active-pickup models.